The measure passed 32-26 a little more than a week ahead of the May 31 budget deadline. 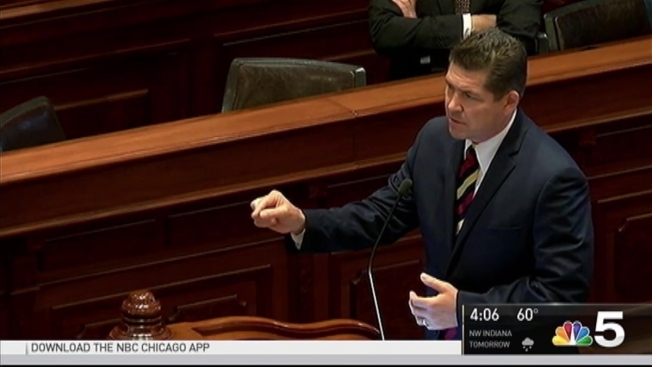 The Illinois Senate on Tuesday approved a 32 percent personal income tax hike, from 3.75 percent to 4.95 percent, as part of ongoing budget negotiations in Springfield. The measure passed 32-26 a little more than a week ahead of the May 31 budget deadline. It still needs to be approved by the Illinois House and Gov. Bruce Rauner. The hike will raise $5 billion when combined with hiked corporate income taxes. It closes three corporate-tax loopholes and expands the sales tax base for the first time to services, but a lot fewer than previously proposed. The 6.25 percent sales tax would be applied to services such as dry cleaning and laundry, storage units, vehicle maintenance and tattoos and piercing. The latest version removes other personal services, landscaping and home maintenance. “Senate Democrats' decision to ram through multiple tax hikes outside a comprehensive jobs and reform package confirms that the entire Democratic Party's position is to raise taxes while protecting the status quo," Illinois Republican Party Spokesman Steven Yaffe said in a statement. “The appropriations measures passed by the Senate will be thoughtfully considered by the House Democratic Budget Working Group headed by Representative Greg Harris," Speaker Michael Madigan said.